Do Splints Help Carpal Tunnel Syndrome? Carpal tunnel syndrome (CTS) is a very common condition caused by inflammation of the median nerve that runs through the palm side of the wrist. When the median nerve is pinched and irritated, numbness, tingling, and/or weakness in the hand can result. Wrist splinting is a common recommendation given to CTS patients by all healthcare providers, including chiropractors, based on the theory that pressure increases dramatically inside the tunnel at the extremes of wrist bending, so restricting motion may allow the associated soft tissues to become less inflamed. But, does splinting actually work? One study that included 36 participants looked at the outcomes of night-time splinting only, using a common thermoplastic neutral wrist splint. The researchers observed that the patients in the study reported improvements related to their hand/wrist symptoms at the three-month point, while after six months, the participants had also experienced improvements related to wrist function. To determine if all splints and braces for CTS were the same or if some were better than others, a 2018 study compared the efficacy of a neutral wrist splint vs. one the incorporated a “lumbrical unit” that extended further into the hand. After six weeks, patients in both groups reported improvements related to pinch and grip strength, but the patients given the longer splint also experience statistically significant improvements related to pain and function. What about combining nerve and tendon stretching exercises WITH wrist splinting? One study that included 51 mild-moderate CTS patients found that those who performed nerve/tendon gliding exercises (three times a day for four weeks) reported better outcomes regardless of which splint they used. A similar study found that patients who engaged in a home stretching program and who wore the longer splint were less likely to require surgical intervention. These studies support the use of a longer splint and stretching exercises in the management of CTS. 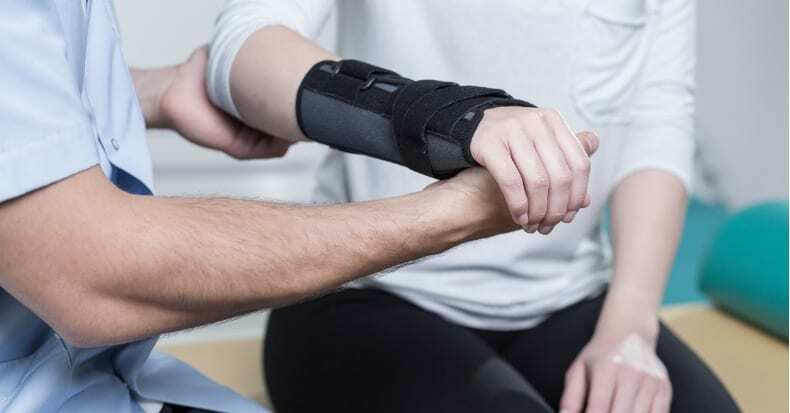 When treating patients with CTS, doctors of chiropractic typically take a multimodal approach that includes wrist splinting, specific exercises/stretches, and manual therapies in order to reduce pain and improve function in the wrist and surrounding tissues.